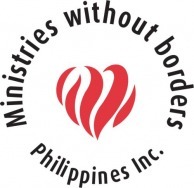 Welcome to the website of Ministries Without Borders in the Philippines! We trust these pages will give you a good insight into our work in Asia. Our aim is simply this – to communicate God’s love to needy people through practical and spiritual care. Based in Cavite, a busy province just south of Manila, we are reaching out to touch literally thousands of precious lives each month. We are also working on the islands of Mindoro, Mindanao and Palawan, with our desire to effectively help and empower people to become all God has planned for them.